​​We welcome everyone warmly to this house of prayer and fellowship, and encourage you to participate in every aspect of our worship and parish life. All persons who desire to receive Holy Communion with us are invited to do so. Whether you are here as a newcomer, visitor or inquirer, or are returning to St. John’s, we urge you to “sign in” at the contact link, so we may greet you by name and get to know you. This is Jesus’ home, and we are delighted that you found your way here! 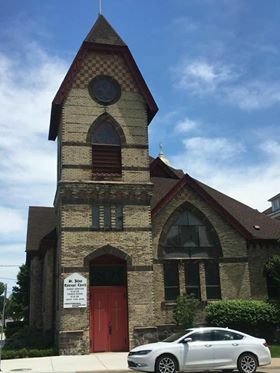 Saint John the Apostle Episcopal Church started to worship together in 1836 in peoples homes we were officially organized in February 1841, We erected our first church building in the city of Ionia to house our congregation in the same year. The original church, now our parish house, is the oldest Episcopal building in the State of Michigan. The present church was built in 1882 and consecrated in 1884.